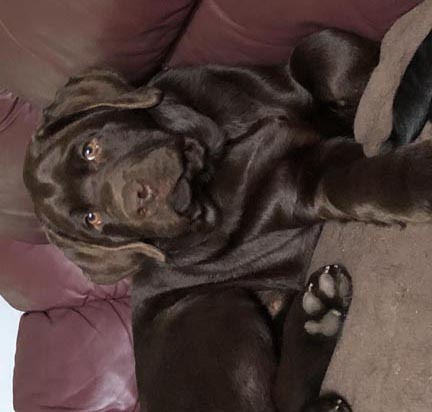 Chunk, 4.5 month-old chocolate male, is available for placement. 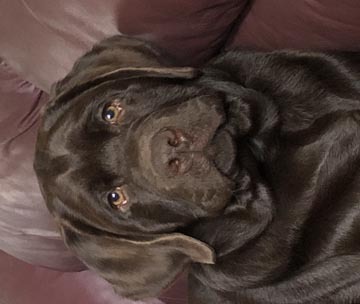 Chunk is from the Beckett and Granite litter born November 5, 2018. I kept two males to run on and have made my final decision on which one will be staying. Chunk is the Orange collar male in that litter. Chunk is a friendly, happy boy who will sleep on my lap and gives plenty of kisses. He will be a good sized boy when he grows up. Chunk is housebroken and crate trained. He will be ready to go to his new home after Monday, March 25 when his last shots(Rabies & Bordatella) are given. 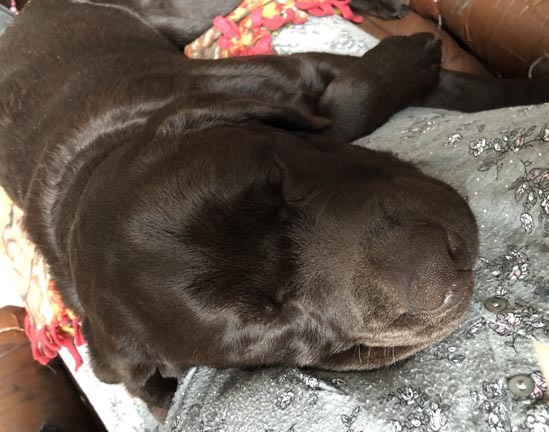 Pictures of Chunk , Head shot , Sleeping on my lap .